Following a brief hiatus that may or may not extend to April 2013, the Digixav app of the week is back. This week it takes the form of Monsters Ate My Metropolis by Adult Swim Games. 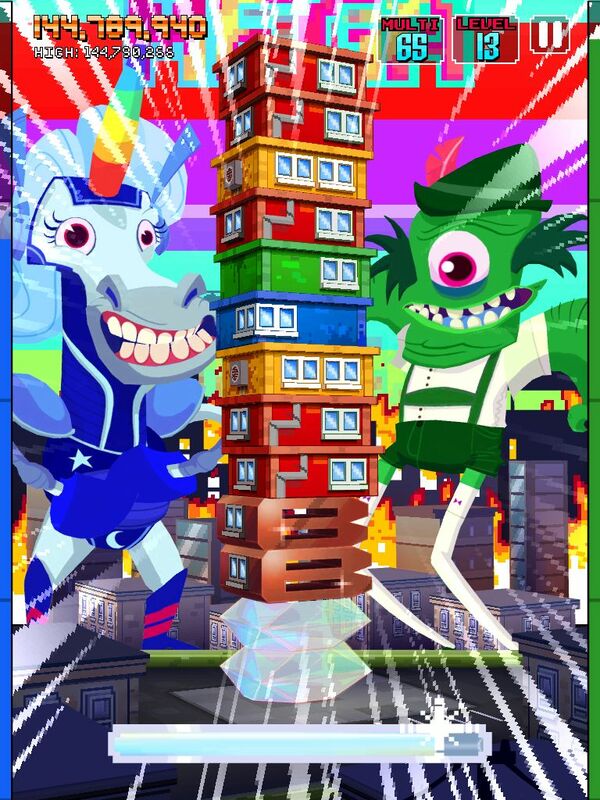 Another sequel to the wildly successful (and extremely addictive if Xavier is anything to go by) game Monsters Ate My Condo, Monsters Ate My Metropolis allows each player to take control of their own city and one of four accompanying monsters in a quest to increase their own population by citizens from others. To steal population, you must beat another players city in a card game using decks of 12 cards of varying colours and effects. Choosing the right colour card at the right time will give it a power boost and will weaken the attack of the opponent meaning even weaker cards can do a lot of damage if used at the right time. Depending on the level of both your monsters and your city (you gain experience by both attacking and being attacked by other players whilst you are away) you will be entered into different weekly tournaments which you can progress through by attacking other members and stealing their population. The higher rank you end at in the tournament the better the reward card you receive will be. On top of this you can buy in-game booster packs with either gold or gems, with gold alternatively being earned through gameplay and gems either bought or earned by watching optional advertisements.